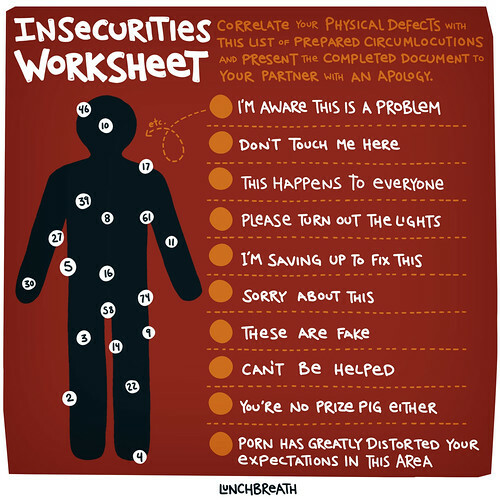 Insecurities Worksheet, a photo by lunchbreath on Flickr. Offered here on The Skwib, not as an admission of any of these anxieties, but as a public service. If you put #58 on everything, then seek immediate psychiatric help. Alltop is already calling its therapist aggregator.